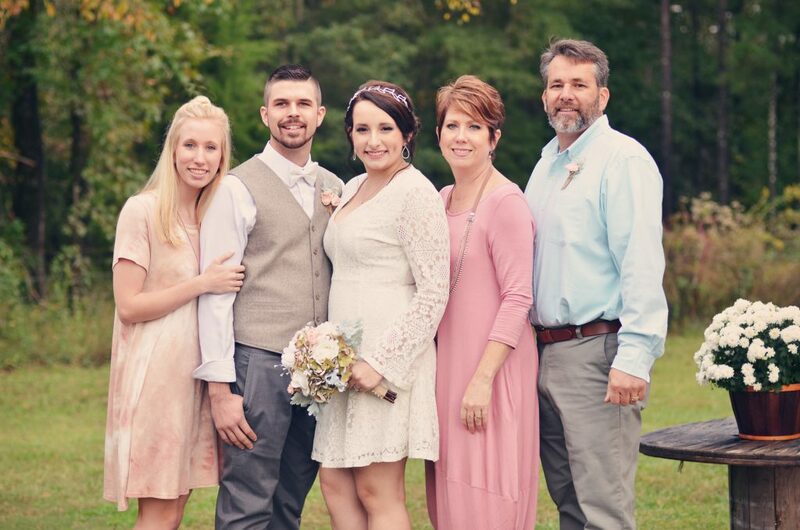 Tina Ciesla tends to her 7-acre homestead in Alabaster, Alabama, but she spreads her heart all around the world. In fact, the married mom of two daughters and Diamond level Young Living distributor is doing double-good duty: First, she refers others to use the social media scheduling program CinchShare, introducing them to a tool to make their lives easier. Then, she turns around and gives back the extra cash she earns for doing so. 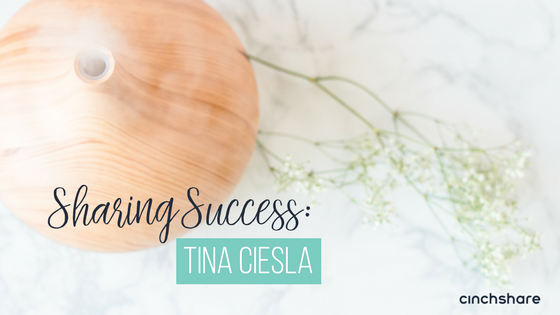 Tina knows a lot of women in direct sales are like her — balancing multiple responsibilities while trying to keep family first. Tina donates the money she earns as a CinchShare Brand Ambassador (CBAs receive a one-time $10 deposit per referral who becomes a paying user) to the Young Living Foundation, a non-profit organization that partners with many other charities. With 100 percent of administration costs being supported by Young Living, 100 percent of the donations go to the causes. Sixty-six homes and a school have been built recently in earthquake-stricken areas of Yarsa, Nepal. A private school is teaching children in kindergarten through 12th grade, overcoming poverty in Chongong, Ecuador, an area that grows many of the natural botanicals needed in Young Living products. Hope for Justice helps free women and children from human trafficking and modern-day slavery. Sole Hope provides shoes and healthcare for people suffering from infestations of parasites. Healing Faith provides treatment and prevention of Malaria in Uganda. African Hearts provides treatment and counseling for those suffering in extreme poverty and struggling with drug use. YLF has provided emergency care packages for those affected by recent hurricanes and flooding in Texas and Florida. Support is currently being channeled into areas of Southern California ravaged by wildfires. “The money I receive [as a CBA] can provide people with mosquito nets to avoid malaria, provide lunches for kids in school, or a survival kit for someone displaced in a storm,” she said. Tina leads by this example and also many others, heading up a team of 6,000 Young Living distributors worldwide. That team generates over $300,000 in monthly volume. Young Living is a company that focuses on helping individuals achieve wellness, purpose, and abundance with lifestyle products made from pure ingredients. The former nail technician and educator with 27 years in the industry suffered a health crisis caused by overexposure to toxic chemicals in 2012 that forced her to find ways to heal her body naturally. Enter Young Living. The Cieslas still own a hair and nail salon, renting spaces to professionals, and they keep a toxin-free life at home. They maintain their 7-acre homestead with “hobby farming,” gardening and raising chickens for eggs and goats for fresh, raw milk. Tina also enjoys crafting, something she’s ready to throw into her social media sharing mix so she can make new connections. Her social media channels include five Facebook groups, one business page, one personal page, Pinterest, and two Instagram accounts. She’s figured out how keep educational information current for her growing team and keep things fresh for her customers, while still being able to take vacations and only work her social media during traditional weekday work hours. That means evenings and weekends free! “But there’s always fresh content there for those who are on social media during those times,” she said, referring to her ‘Cinched’ posts. And as any direct sales leader knows, being able to point team members toward training and basic company information is vital. The Young Living Foundation is constantly seeking ways to give back and provide basic needs for people locally and around the globe.